Carpet Cleaning in Orlando: complete wall to wall carpeting, including stairs and hallways. Area Rug Cleaning in Central Florida: oriental rugs, hand-made rugs, specialty rugs, synthetic rugs, wool rugs. Maintain Your Carpets and Protect Your Investment! Families spend a lot of money on carpeting, upholstery, leather, oriental rugs and area rugs as part of their overall decoration. Poor maintenance will affect the look of your home, reduce performance, and accelerate the need for a costly replacement. 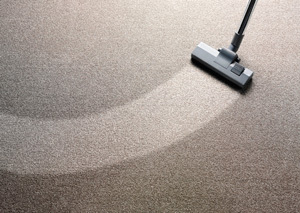 Discount Carpet Cleaning of Orlando understands the need to maintain a healthy indoor environment, but also to extend the life of your expensive carpet, rug, fabric, or leather investment. Many families count on Discount Carpet cleaning to provide carpet maintenance and protect their investment. Get Started On Your Home’s New Clean Look Right Now! To get your home in the best shape ever, call now to speak with our cleaning and care professionals at 407-617-2311 or schedule an appointment with us online.